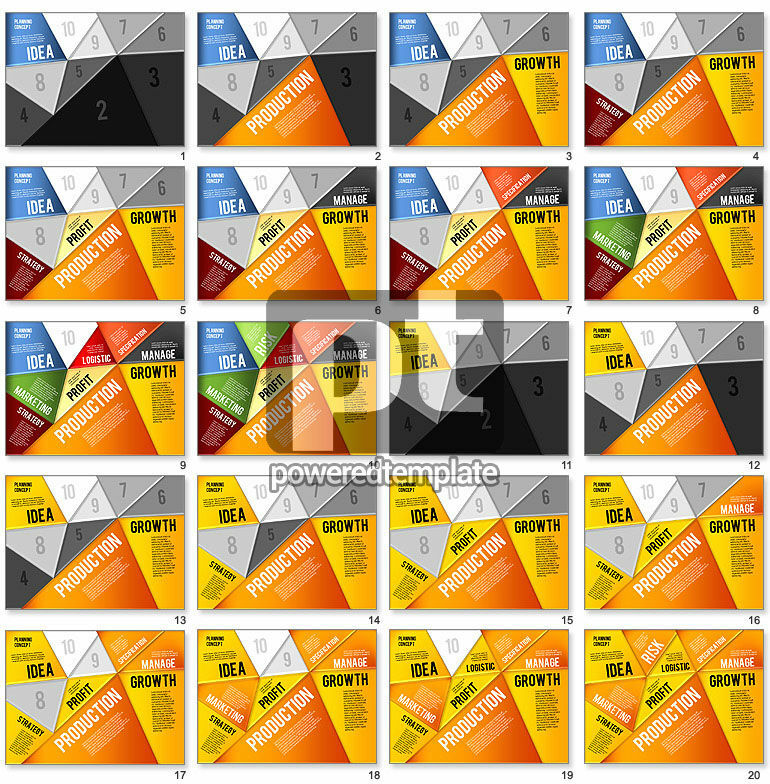 These presentation slides 43867 are complete compatible with Google Slides. Simple download PPTX and open the template in Google Slides. Enjoy this marvelous template created in a cool mosaic style. There are many different colorful pieces with words on them and non taken areas. You can use this vivid sample for your presentations dedicated to business connections, step by step actions, business growth, development strategies, action plans, risks or solutions in various kinds of business spheres, media, education or network.